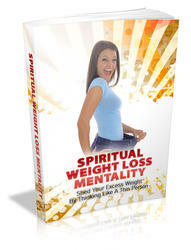 It is true that gaining weight results from taking in more calories than you expend. But excess calories certainly cause you to pile on the pounds-and this is a gigantic "but"-only when you are eating a lot of carbohydrate along with fat. 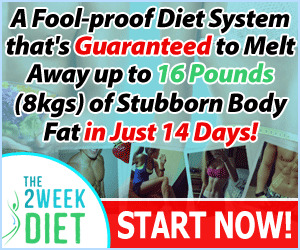 So it's time to abandon the assumption that the only way to lose weight is to strictly control your intake of calories. Many people think that only one thing matters: how many calories you take in and use up. It's not that simple. When you follow a controlled carbohydrate approach, you get what I call a "metabolic advantage. When you control carbohydrate consumption sufficiently, your body will switch from burning glucose derived from carbohydrate to burning primarily fat for energy. This means you could eat, say, 2,000 calories and still begin losing pounds and inches. In contrast, if you were consuming 2,000 calories on a low-fat diet, you might not lose weight, and you might actually gain weight. The metabolic advantage is that burning fat takes more energy so you expend more calories. And if you eat fewer calories-as many Atkins people do because their appetite is usually diminished-you'll likely lose weight even faster. So it's not that calories don't count, it's just that you will burn more of them, with less hunger, when your body is operating on a fat-based metabolism. When I published the first edition of this book ten years ago, that claim was quite controversial. Today it is galloping into acceptance among scientists who study the human metabolism. Glance through the references listed at the back of this book and you will see the numerous studies and articles published in the past six years. And, we will deal with the metabolic advantage in greater detail in Chapter 7.